Have a blogger in your life? Not sure what to get them? Or hey, self-gifting? No matter! I’ve got some great gift suggestions for this edition of J’adore, my series where I bring you some of my favorite finds while traveling the interwebs. I think all of these would make great gifts for bloggers. Help a Blogger get organized. I am a little nutty when it comes to organization. I have shared some of the tools I use to keep me that way, but when no matter how many digital tools I have, I always love analog notebooks and systems to keep my going. I have purchased to planners to try out for 2015. This planner caught my eye when it was a Kickstarter but I didn’t purchase it during its campaign period. Then I saw another blogger post about it and my curiosity was piqued again. 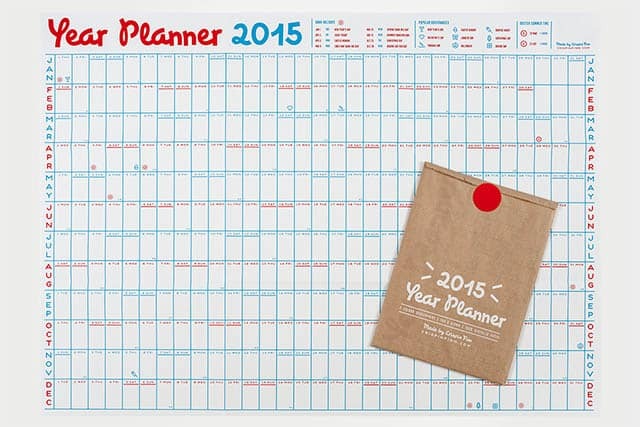 I check out the website and read it in its entirety and have ordered the 2015 Passion Planner. It doesn’t arrive until January which makes me a little anxious, but there is a free pdf version if you help promote it (hey, here is me promoting it!). It looks like such a fun system and I really admire Angelia Trinidad, founder, CEO and creator of this system – she has gumption as a young entrepreneur! I discovered Regina Anaejionu’s site, by Regina when I pinned one of her blog graphics to my Best of Blogging board on Pinterest. I followed the trail and began reading her and also purchased one of her e-books. Then her EPIC BLOG planner was mentioned by a blogger in a discussion in Facebook with rave reviews so I had to pick one up for myself to see. It arrived a few days ago and I really love the format! I am diving in today with some of the exercises as well as planning. I bought two of Crispin Finn’s 2015 Year Planner – one for my office and one for my home office (that is going to take a little bit of negotiating with Mr. Misadventures!). I think it is great to see an entire year in one spot. And even if the hubby won’t let me put this on our office wall, I can carry it around (along with my planner!) in the handy-dandy folder it comes in! Having an editorial process makes a blogger’s life easier, trust me! And this is a great way to notice patterns when it comes to series and gaps. There are other organization tools that I mention in my post on blog tools, many of which have pro versions which would make a great gift. Help a Blogger take her blog to the Next Level. I have been blogging for six years and one thing I can tell you is that you never stop learning. There are a ton of great courses out there that will help any blogger hone her skills. Here are a few of my favorites. I am a big fan of Melissa Culberson of Blog Clarity. 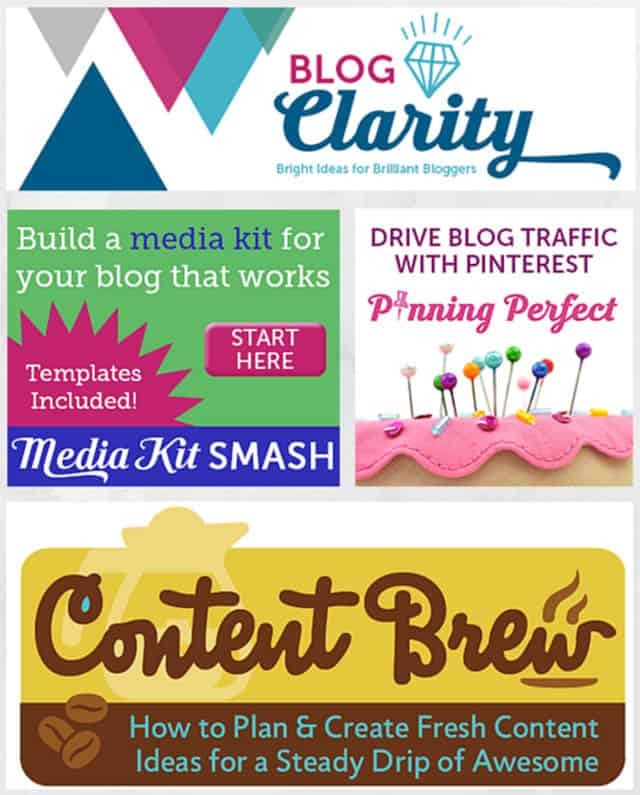 I have taken many of her courses including Content Brew where bloggers can learn how to plan and create content ideas for your blog and the tools you will need to do it. And Media Kit Smash a course that helps bloggers create a professional, informative media kit. I’ve also taken Pinning Perfect which helps bloggers increase traffic from Pinterest. I highly recommend each one of these! There are many self-paced courses out there to help you with your blogging, I like Blog Life from A Beautiful Mess. Visually stunning and very helpful, Elsie Larson and Emma Chapman do a great job helping bloggers a plan of action for branding, editorial and creating community. They also make really great planners! There are many great books out there about various aspects of blogging and I have read many of them! Here are a few of the standouts. 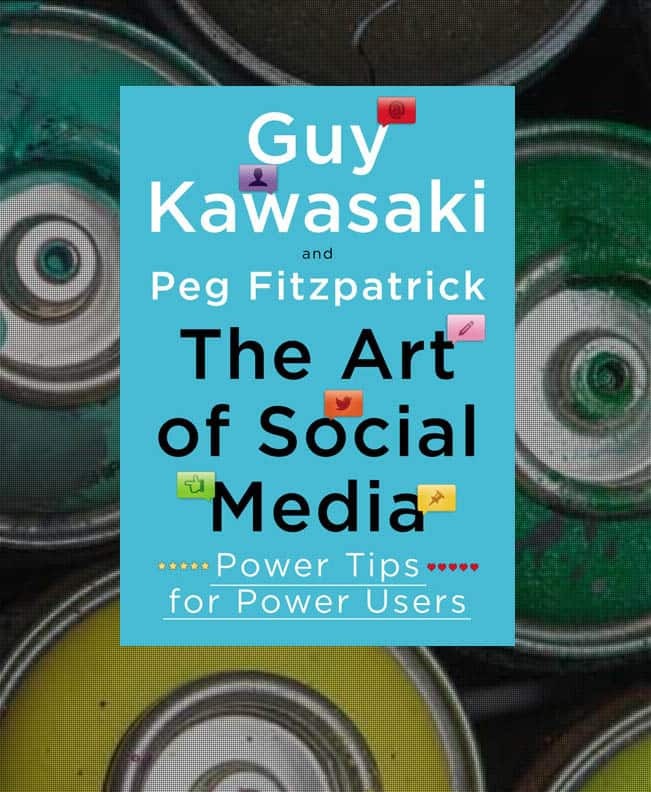 This book from Guy Kawasaki and Peg Fitzpatrick is filled to the brim with great tips and resources for any blogger who wants to use social media to amplify their blog posts. I recommend buying the hard copy as opposed to the Kindle because they are going to want to mark up this book! 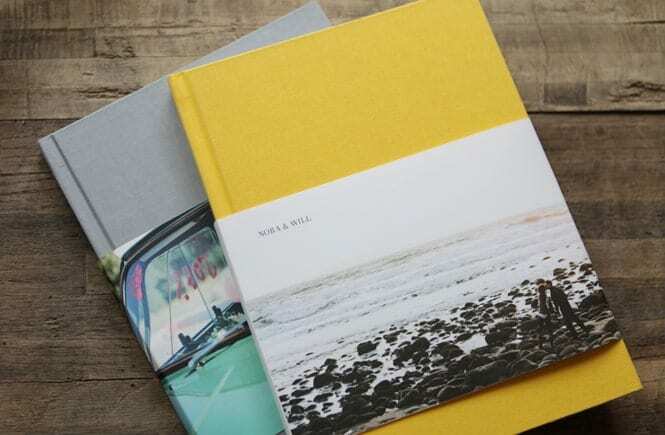 Another book I really enjoyed is Blog, Inc. from Joy Cho of Oh Joy! blog. Joy’s book has a lot of ideas for building a blogging community and how to go about earning money. Many bloggers use Instagram and have a full feed of images. Why not turn them into a fun photo book. You can do one for specific series, certain trips, or maybe monthly recap images that can be turned into a “year of blogging” book. There are a lot of creative options and I am sure no matter what you choose you will love the end result as Artifact Uprising products are gorgeous! I have this shirt from Raygun and I love it! When I wear it people always ask me about it, it is a great conversation starter! I am considering buying this coffee mug. It is an awesome reminder that most of us bloggers never make it to the big time, but we will always have our own confidence! That’s it for this J’adore roundup. If you have a blogger in your life or are self-gifting, any one of these are great gifts for bloggers! What about you? Got anything you would add? I love all the planner suggestions! I have too much in my head and post it notes. I used to keep a Google spreadsheet with my editorial calendar and other to dos but I really like the idea of having something right in front of me. Great suggestions! I actually don’t know how I feel about wearing or drinking my blog. Haha. My mum loves to talk about my blog, but I’m a bit more bashful. I am asking for that mug if anyone has room for a stocking stuffer – great gifts! Ahhh I love the mug and the planners are so practical!! Ok, I want everything on this list. 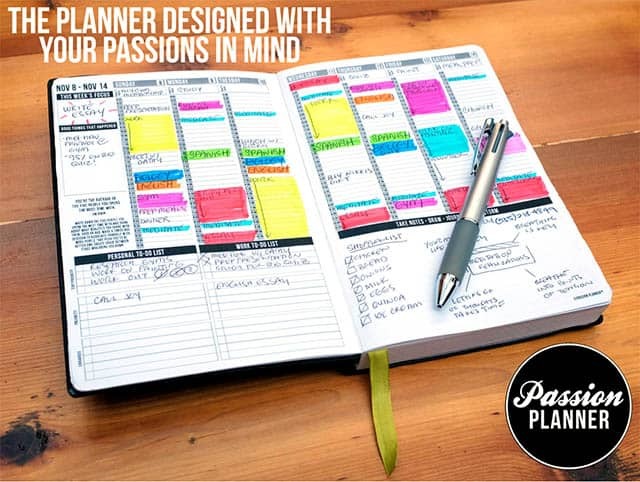 Love that passion planner – so many great sections to it! I’m only bummed the smaller size is sold out until February. Looks like lots of people love that planner, but good things are worth waiting for! Love, love, LOVE that coffee cup!! So fun! So many awesome suggestions! I love the yearly planner. I just need to find a wall for it. And I definitely am getting Guy’s book! 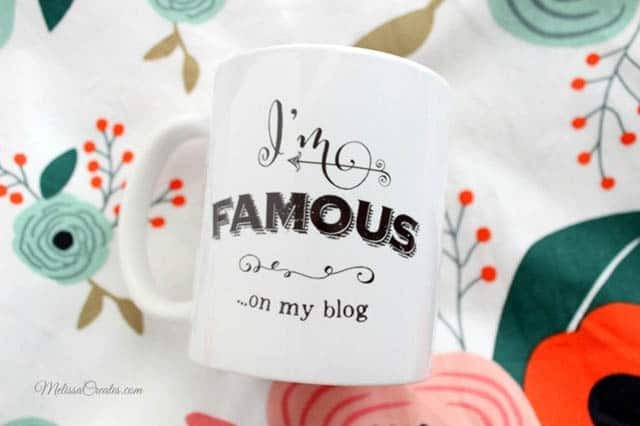 Hahha I love these ideas, especially the “I’m famous on my blog” mug. Great ideas! Ha ha! Love these! Way to think of the bloggers! 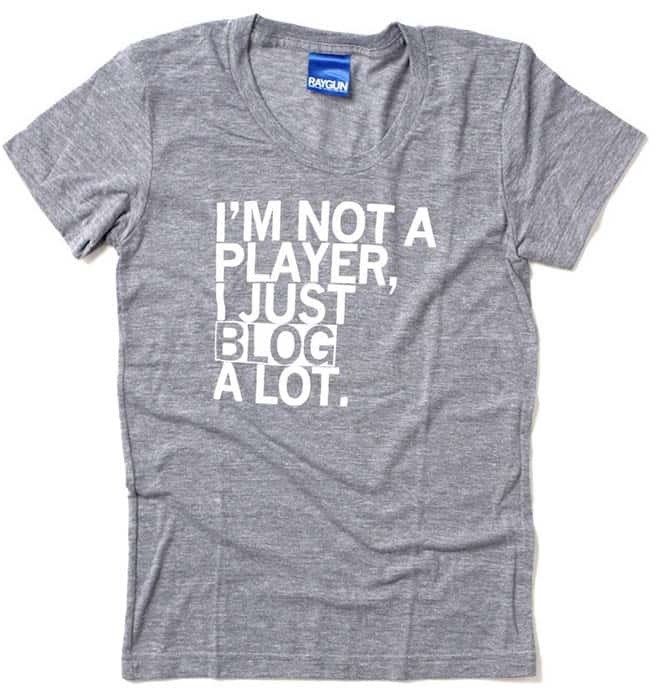 I love Blog Inc. and that tshirt is cracking me up! 🙂 And calendars, calendars, calendars, of course! 🙂 Nice job! AHH! These are such amazing gifts! I love each of them. Especially that first planner. these are all really cute ideas! 🙂 my vote goes for artifact uprising books! i guess i should check out some of these physical planners. so far i have a giant excel file to organize my days, months, weeks, years. but having a visual would be good. That coffee cup is super cute! Love it. These are adorable, love the planner. Thanks for sharing. I’m really bad at organizing my blog stuff, but I love the idea of the planner and the Artifact Uprising book (I love their products). Great stuff! I love this list! I love the planner and adore the cup. They’re cute together. Those are some great suggestions! I am actually tempted to gift myself with one or two of these. Ok, that blog folder – the first one looks incredible and exactly what I need!! I will definitely refer you if I decide to get it! I NEED that shirt in my life! So cute! And seriously need to put my planner to better use this year. Great list! Such cute ideas! 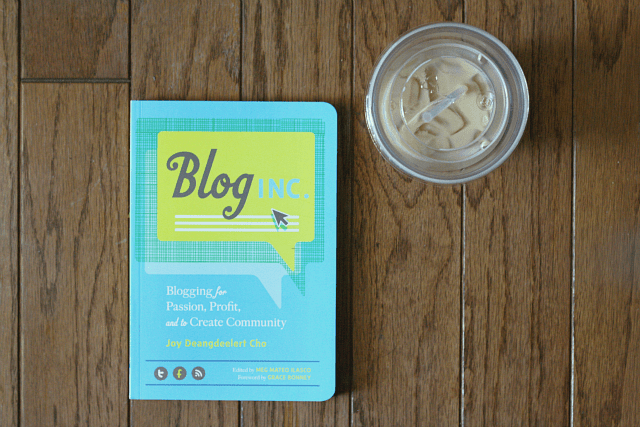 Blog planners are amazing, and I heard that Blog INC book is really good. These are some great ideas! I definitely need to check out Blog, Inc, and I’m planning on taking A Beautiful Mess’s Blog Life class in January! Interesting and great read! Like the planner. I’m thinking of beginning blogging in a few months. Maybe I could get some starting infor for you. What great ideas! I loved the mug “I’m famous on my blog”. A planner would be the BEST gift! Love all of this!! I need that mug, and that EPIC BLOG planner is on my to buy list! @Rebekah, I just started using the planner and love it! Ordered it yesterday shortly after reading your post, as well as Blog, Inc which looked like an interesting read! @Rebekah, so glad there were thinks you liked! Blog Inc is a great read! 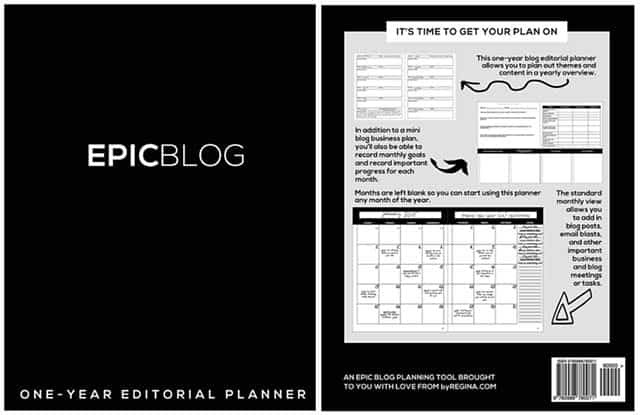 I HAVE to have that Epic Blog Planner! It will definitely help me with my goal in 2015. @Amanda, I just started using mine and love it! I love ALL OF THESE. I’ve save them all for myself. @Lana, I can’t chide you, I have them all except the cup! @Katie, hopefully he takes the hint! I really love the Passion Planner. Strongly considering purchasing one! I put a lot of my stuff in my calendar but there is just something about having a planner in your hand where you can write stuff in, cross stuff out. 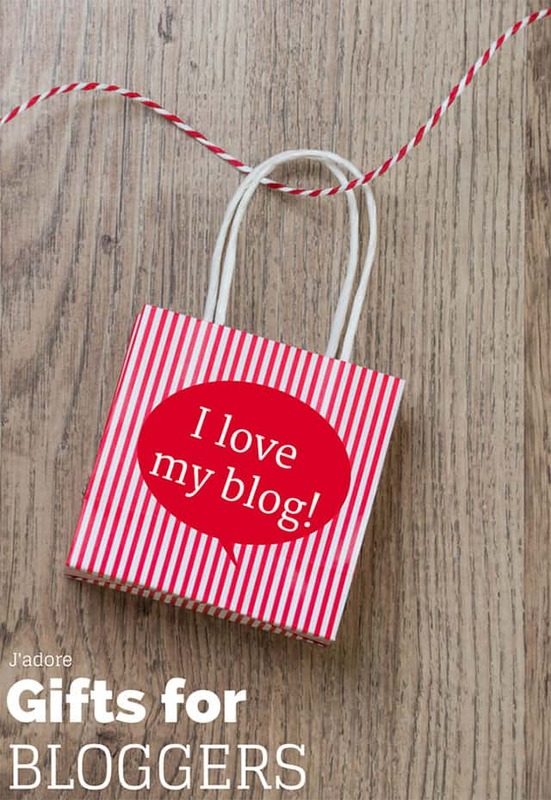 These are all great gifts for bloggers!! @Fatima, I hope you pick one up. I just got the pdf version and LOVE it! I’m so excited, I bought the Content Brew course! I’ve been looking for something like this. Happy Christmas to me! @Angela, oh that is a really good one! I took it a few years ago and still use some of the tools Melissa recommended. Uh oh. I think there’s something wrong with me if I really could benefit from every single thing on this list!!!! I’ve been so focused on actual photography in 2014 that my blog has totally been the red headed step child of my freelance life 🙁 I need that to change in 2015. Thanks for sharing these, Andi!!!! @Kirsten, trust me you are doing just fine! But I have all these products except the mug and love them all so you can’t go wrong with anything on the list! I love ALL of these! Especially the paper planner (so glad I’m not the only digital geek that still plans on paper). I’ve just opened it in a new tab to place my order. And thank you for the tips on the classes! I’m always taking new classes online to help grow my business. Wonderful post! @Rachelle, so glad you liked everything. I am totally analog when it comes to note-taking and planning. I found the classes to be do helpful! Melissa is great! @Corina, I have the shirt and it is always fun, and I want to get the mug, it is the only thing I don’t have! I love all these great ideas for blogger gifts. I want them all! @Michele, if you have been especially good I don’t see why you couldn’t have them all! I must have that shirt!!!!! @Sarah, I always get fun comments when I wear mine! @Kimberly, so glad I could inspire you a little bit! These are some great ideas! (And, that Tshirt made me laugh out loud)! @Karisa, I always get the best comments when I wear mine! Thanks for sharing this list! I’ll be buying Blog Inc as a Christmas present to myself! @Amanda, did you do it? It’s a great book! You have a great collection here Andi! 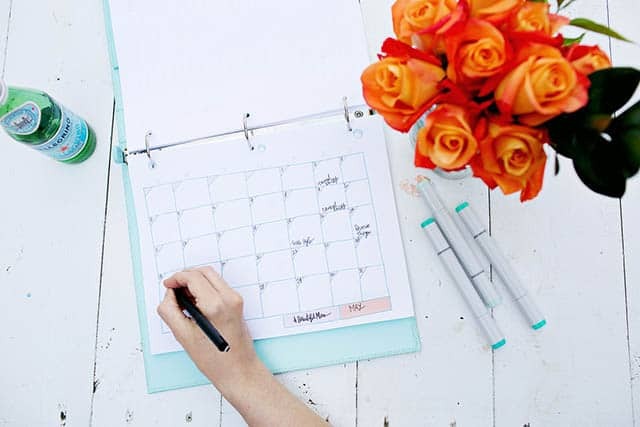 A must for me is Regina’s EPIC Blog planner. I’ve heard so many great things about on the web. Thanks for sharing. @Regina, I have been using it a few weeks and love it! I’m bookmarking this! Too many good ideas. Just ordered the (backordered) Passion Planner and included your email addy as the referral! Thanks for introducing this to me. Very unique gifts ideas for bloggers indeed! I like all of the ideas, but will for the the first one “The Passion Planner”. Hopefully this will help my blogger friend up to date of regular schedules anytime and anywhere. Thanks for a nice contribution.